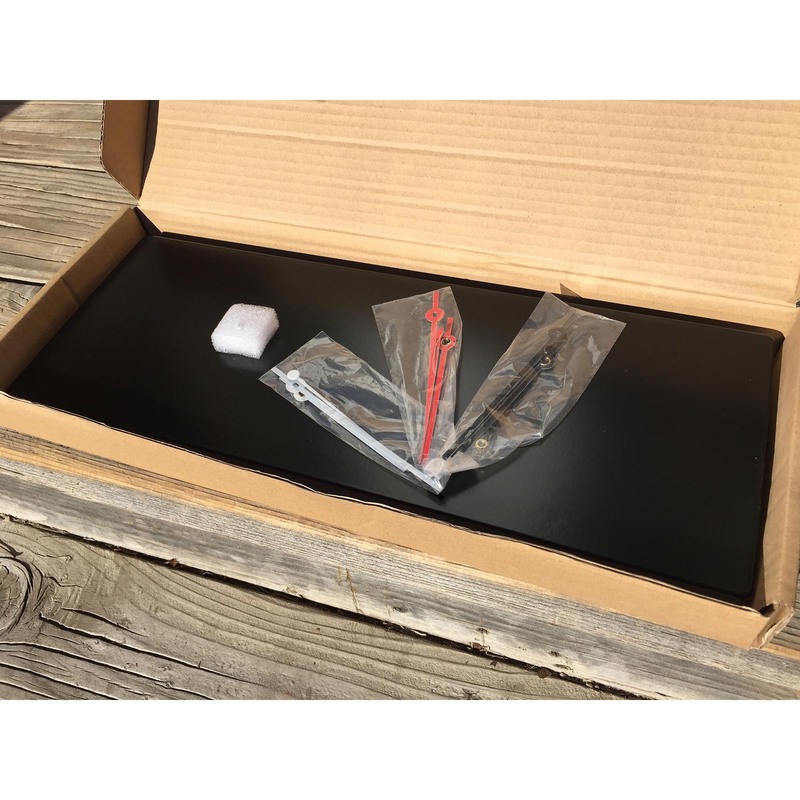 The Blackout Clock Kit (Large) is a brilliant metal wall clock that allows you to express a bit of your modern creativity through interchangable, multi-colored hands. The strong, durable steel body is powder-coated in a rich black color with a semi-gloss finish. 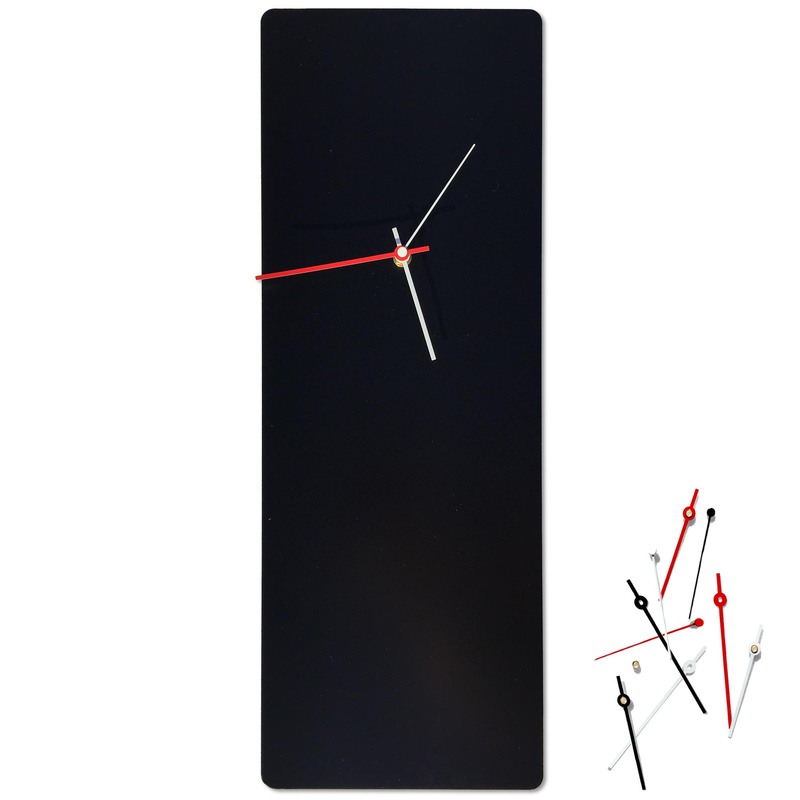 It arrives with three complete sets of flexible aluminum hour, minute and second hands in red, black and white. The personalized DIY element of this minimalist clock allows you to choose just one color or mix-and-match between the three to give it your own personal flair. Choose your desired hand color combination. Loosen and remove the screw/nut in the center of the raised pin on the clock body. Snap the hour hand in place by sliding it over the pin and pressing down with your fingernails around the circular part of the hour hand where it wraps around the pin. You should feel it slide firmly in place; if it is wobbly, you likely have not lined it up correctly and/or pressed it down firmly enough. Next, slid the minute hand over the pin - you will notice the oblong shape of the hole and the pin, so it can only slide on when those two are aligned. 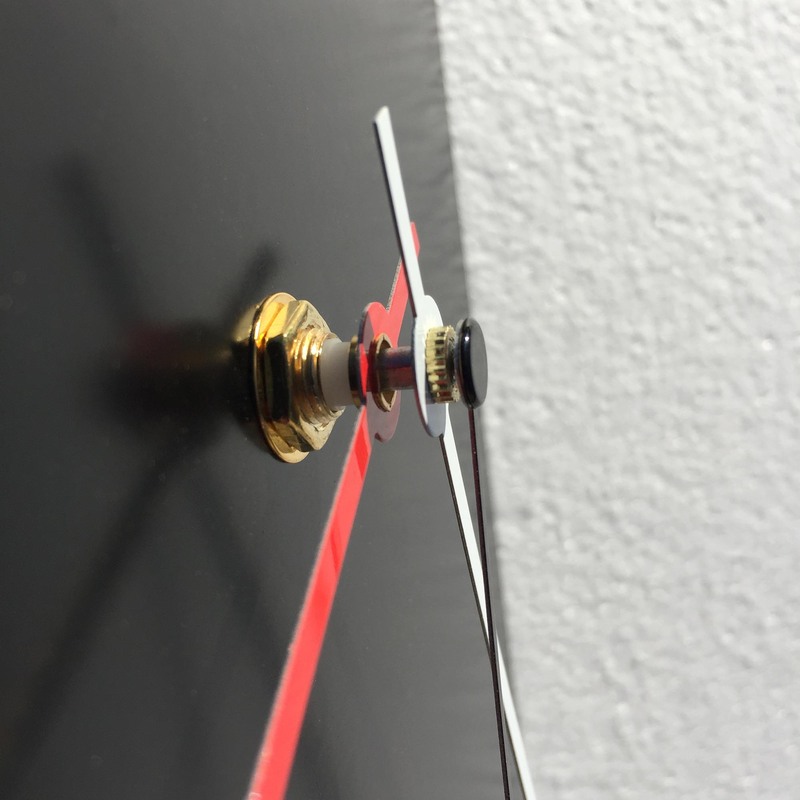 Carefully screw the nut back in place; sometimes this maybe be easiest by kneeling down next to the clock (with the clock on a table) so you can view it from the side, then be sure the nut is flat/level and tighten it over the pin until it sets firmly against the minute hand. If the minute hand is wobbly, you likely have not screwed the nut on evenly and/or tightly enough. Finally, center the hand over the hole in the pin and snap it in place by pressing firmly downward against the circular part of the hand. 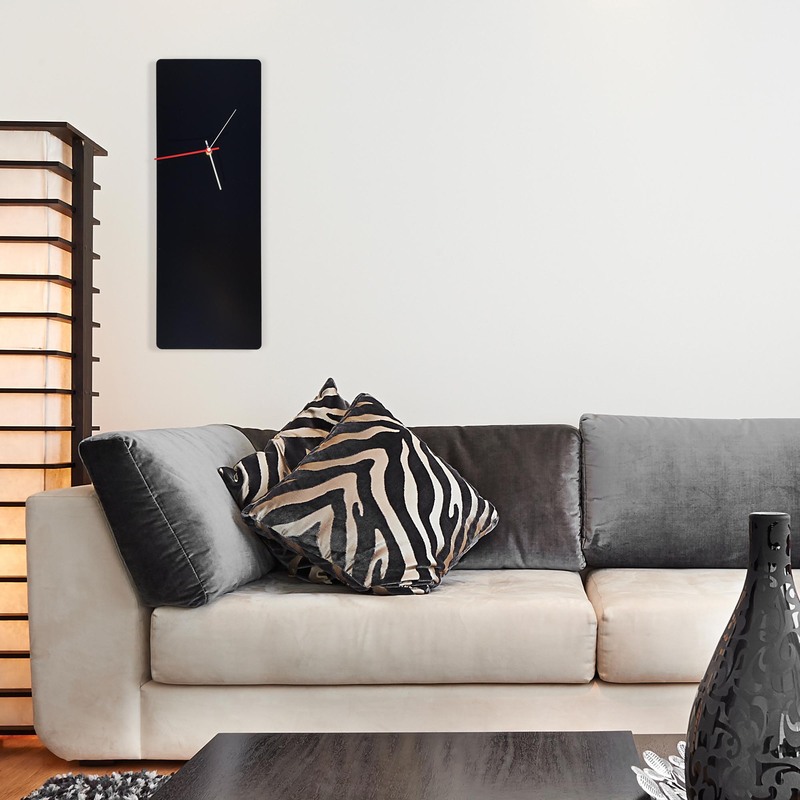 High quality, durable steel clock designed in Cincinnati, Ohio. 90 Day Manufacturer Parts Warranty. Some assembly required. Finish/Care: Recommended for indoor placement. Artistic semi-gloss finish on steel. Wipe clean with soft cotton cloth, and if necessary, warm water and a mild hand or dish soap.